​Hey! It's Angela writing to you all this week as Brian is outside as I write this baking pizzas, bread and flatbread in our new brick oven. We are so excited to have this functional and have been using it frequently and are loving the end result. 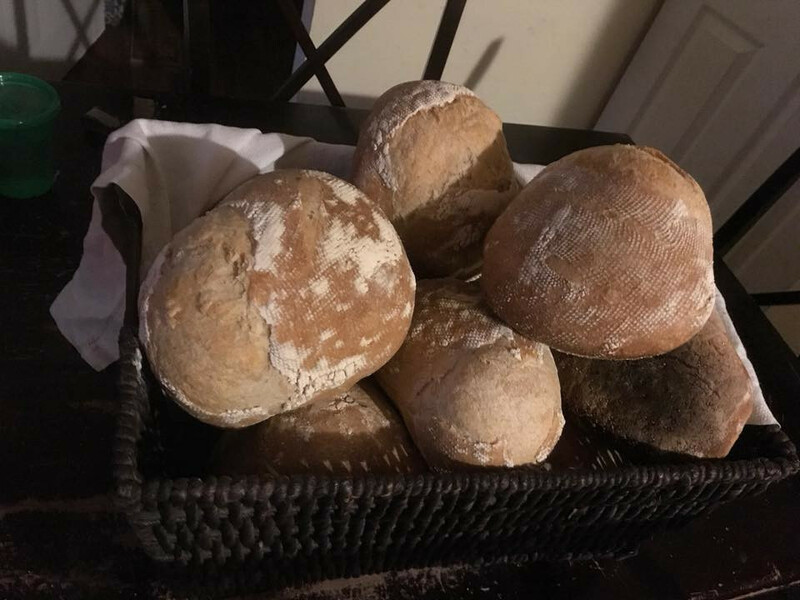 We are excited to finally be able to share some of this with you as we are going to offer, starting with the delivery on Thursday, FRESH bread and flatbread. We will prep the bread on Tuesday, bake it on Wednesday and send it out fresh with the delivery on Thursday. This is naturally leavened sourdough bread so for those that struggle with Gluten / Celiac issues, we have heard this bread is easier to digest and therefore may work for you. Howdy there! I hope everyone’s Spring has sprung and y'all are ready for the summertime. We have been running around here so much that we just realized that May is almost over. It’s crazy how fast time flies by when you are having a good time. 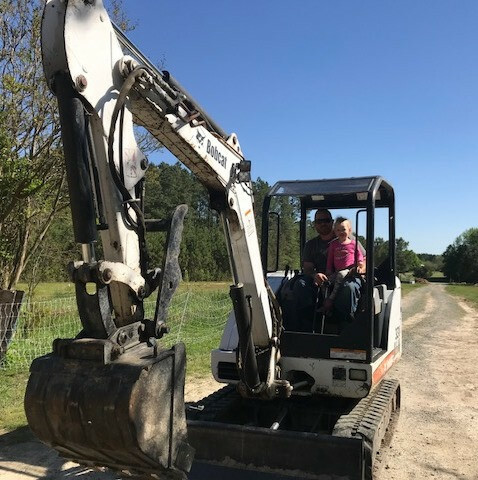 Things are progressing very nicely here on the farm and we are definitely in the full swing of things. Just two weekends ago we finished the brick oven and this past weekend we were able to fire it up and start baking and trying some new items. All I have to say is that it is freaking awesome! Finally: Cream, Sour Cream, Cottage Cheese, Whey and Buttermilk is here! Good day my fellow readers! Brian Bowen here from Nature’s Roots Farm enjoying a stormy Sunday afternoon. I am sure grateful for today’s rains as are all the plants, trees and vegetables that are growing here on the farm. Since the New Year, I have made it a resolution of mine to disconnect myself from most to all mainstream media and social news sources because I realized everything out there was nothing but junk from the television to internet news. The other day I was getting a couple new tires put on one of our trucks and as I was waiting for my truck the news was on in the waiting room. I was completely shocked and disgusted with the ten minutes of news reports that I listened to. The local news anchors on that particular station were running through a list of local news reports and I swear it was full of reports about death, corruption and drug charges to name a few. I thought to myself, no wonder so many people are scared to death about everything little thing this day in age, the media scares that crap out of its viewers. It sure solidified my New Year’s resolution of eliminating mainstream news from my life.